​Barbara was trained in bookbinding and book conservation at the North Bennet Street School and worked part-time as Book Conservator at Harvard Business School as a student. She was employed as Book Conservator at the Boston Athenaeum and worked there until becoming the Conservator of the John J. Burns Library at Boston College in 2009. She is a Fellow of The International Institute for Conservation of Historic and Artistic Works and a Professional Associate of The American Institute for Conservation of Historic and Artistic Works. Barbara is currently serving her second term as overseer of the North Bennet Street School. Carolyn Frisa received her M.A. in Paper Conservation from Camberwell College of Arts in London, England in 2000. She established Works on Paper, LLC, a private practice conservation studio in southern Vermont in 2008, and specializes in the conservation of artistic and historic works on paper, wallpaper and photographs. Prior to entering private practice, Carolyn worked as an associate paper conservator at the Northeast Document Conservation Center and Tate Britain. She has been a Professional Associate of the American Institute for Conservation since 2007. ​Babette Gehnrich received her formal training in bookbinding, and book and paper conservation in Berlin, Germany and the Centro Del bel Libro in Ascona, Switzerland in the early 1980s. After moving to the US, in 1985, she completed an internship at the Folger Shakespeare Library, the ICCROM paper conservation course in Vienna, Austria, and worked as assistant book conservator at Yale University. Since 1989, she has held the position of Chief Conservator at the American Antiquarian Society in Worcester, Massachusetts. She is a member of the advisory board for the North Bennet Street School’s bookbinding program. Jessica Chloros received her M.S. in Art Conservation, specializing in objects, from the Winterthur/University of Delaware Program in Art Conservation in 2007. She is currently the Objects Conservator at the Isabella Stewart Gardner Museum, where she has worked since 2008. She has completed internships and fellowships at various institutions including: Brooklyn Museum, American School of Classical Studies Agora Excavations in Athens, Greece, Worcester Art Museum, and the Straus Center for Conservation and Technical Studies at Harvard Art Museums. ​Emily earned her MA in Art Conservation from Buffalo State College in 2008 with a specialization in Paintings Conservation and Certificate of Advanced Study in Conservation Science. She established a private conservation practice, Phillips Art Conservation Studio, LLC, specializing in the conservation of paintings and collections care, located in Essex, NY. ​Ellen Promise received her M.S. in art conservation with a specialty in objects from the Winterthur/University of Delaware Program in Art Conservation in 2012. She currently works as the Assistant Conservator at the Isabella Stewart Gardner Museum, where she also held an FAIC/Samuel H. Kress fellowship in 2013-14. 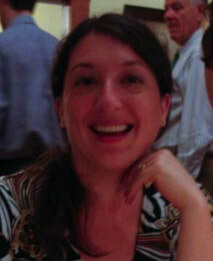 Ellen has completed graduate internships and postgraduate fellowships with a number of institutions including: the Philadelphia Museum of Art, the Staffordshire Hoard Project at Birmingham Museum and Art Gallery in England, the Queen Anne’s Revenge Conservation Lab, Harvard’s Peabody Museum of Archaeology and Ethnology, and Historic New England. ​Anne Schaffer received her M.A. in Paintings Conservation from Buffalo State College in 2016. She is currently the Paintings Conservation Fellow at the Harvard Art Museums’ Straus Center for Conservation and Technical Studies. Anne previously held a Samuel H. Kress Fellowship at the Smithsonian American Art Museum’s Lunder Conservation Center, and completed graduate internships at the Philadelphia Museum of Art, the Menil Collection, and the ICA-Art Conservation regional center in Cleveland.